Some implied that Sony won't buy Gaikai, after The Verge published and retracted an article about Gaikai partnering with Samsung, and instead buy OnLive. That would seem logical under the assumption that the inital Sony buyout rumor for either OnLive or Gaikai is true. The latest rumor comes from GamesIndustry International, a credible source. Let's hope their source is also credible. The crux of the rumor is that Sony will partner with Gaikai to allow current-generation hardware to play PlayStation 2 and PSone games via a video streaming cloud gaming solution. The partnership is likely to be announced at E3 next week as part of Sony's pre-E3 press conference on Monday. The service will offer first-party games and be open to third-party publishers to sell back catalogue games to players. The appetite for PlayStation 2 games has been proven with collected HD releases of titles including Silent Hill, God of War, Devil May Cry and Ico & Shadow of the Colossus. It's not yet clear which Sony devices beyond the PlayStation 3 would get a Gaikai-supported game streaming service, but it could extend to the PS Vita and Sony branded TVs and tablets. A backwards compatibility offering at this stage in the PS3's lifecycle would also allow Sony to test streaming games before it goes fully next-gen with the release of the PlayStation 4. These Sony cloud gaming rumors have been going back and forth between OnLive or Gaikai, partnership or buyout, since the initial Sony partnership rumor with either OnLive or Gaikai that VG247 spread more than a week ago. Looks like the rumors came full circle to a partnership, but this time it looks like the pendle is leaning towards a cloud gaming partnership of Sony and Gaikai. When OnLive won't announce any partnerships or even a buyout by a console manufacturer or a big corporation at E3, I fear their cloud gaming service will look pretty uninteresting. OnLive will showcase a few great upcoming games at E3 like Darksiders 2, Metro: Last Light and Sid Meier's Civilization V: Gods & Kings, but nothing spectacular as it looks now. On the other side Gaikai will possibly announce a partnership with Sony. The partnership with Samsung is already a done deal, there is also a possible partnership with ASUS and who knows what other partnerships. They already have some blockbuster EA games demos and The Witcher 2: Assassins of Kings Enhanced Edition demo. With customers like Samsung it will be trivial for Gaikai to get full blockbuster games from EA, Activision Blizzard and any other publisher. It looks like after E3, Gaikai will be all over the place and I fear people will start asking what's OnLive or say, "Ah, that cloud gaming service that no one knows about, which has no games and will fail anyway." Let's hope OnLive has some surprise reveals in petto for E3, like the fruition of the announced partnership of OnLive and Google TV. Maybe history will repeat itself and Microsoft will buy out one of Steve Perlman's creations again, I mean OnLive already has Live after the On, so it is meant to be On Microsoft's Live service. We already know that OnLive CEO Steve Perlman loves to name his companies with a meaning behind the name. For instance, Perlman's Rearden business incubator that has given birth to OnLive is named after Hank Rearden's company Rearden Steel. Hank Rearden is one of the main protagonists of Atlas Shrugged, the novel by Ayn Rand. 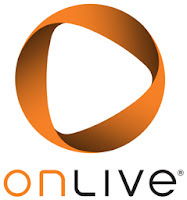 The name OnLive just screams, "Microsoft buy my company, then Live will really be live." Isn't it funny that there are so many rumors about Sony and cloud gaming, but virtually none about Microsoft and cloud gaming? OnLive was also very quiet the first half of this year. We already know about Microsoft's friendly inclination towards OnLive desktop. When one big console manufacturer does something, usually the other does something similar. Maybe there will be a Microsoft OnLive surprise hit at E3. At the end nothing may come of these supposed cloud gaming deals, at least at E3, but we'll know soon enough. You can read more about the pro and contra of a Sony buyout or partneship with either OnLive or Gaikai.